Please contact us at Info@FulfillmentMerch.com within the 14-day time period for return instructions. Please reference your order number when requesting a return authorization. We reserve the right not to accept for refund any product returned without the express authorization of Fulfillment Merchandise. Returned items must be unused, meaning you didn't wear the shirt, open the CD, try on the underwear, let your cat sleep on the hoodie, etc. Only unopened and sealed CDs, DVDs, and vinyl albums may be returned. Refunds are not offered for minor cosmetic damage on record packaging and posters, such as bent corners and cracked CD covers. Certain sale and discount items are non-returnable. Your order will typically ship out within 1-2 business days after it is received. We do not ship on most major holidays, please keep that in mind when placing your order. If you need an estimate just make an account, put something in your cart, and click "Checkout". All orders will ship USPS. CONFIRM YOUR ADDRESS WITH PAYPAL - WE WILL NOT BE RESPONSIBLE FOR ORDERS SHIPPED TO INCORRECT ADDRESSES, OR IF YOU MOVE AND FAIL TO CHANGE YOUR ADDRESS WITH PAYPAL. NO EXCEPTIONS. PERIOD. Please double check your address before finalizing your order. If a package is lost and we were provided with an incorrect address you are responsible for additional charges to reship or replace the lost goods. Fulfillment Merch is not responsible for lost or missing packages. All international shipments are marked as "Other" and may be subject to duties and taxes upon arrival. Shipping charges are non-refundable. Regarding shipments that include vinyl records, Fulfillment Merch is not responsible for minor cosmetic damage that may take place during shipping. We will pack with as much care possible before shipping out your order. In particular corner dings/bends are very difficult to prevent and we cannot issue refunds or replacements. Warped, damaged and/or defective vinyl will of course be replaced or refunded. Orders that are returned to Fulfillment Merch as undeliverable or insufficiently addressed will be refunded, minus the original shipping fees. Please carefully review your shipping information to ensure timely and accurate delivery. We are unable to re-ship orders that are returned to us as undeliverable. Credit Card - Visa, Mastercard, American Express, and Discover cards are all accepted. Please be aware that items purchased online may vary slightly in color in real life because of the various different configurations of computer monitors. 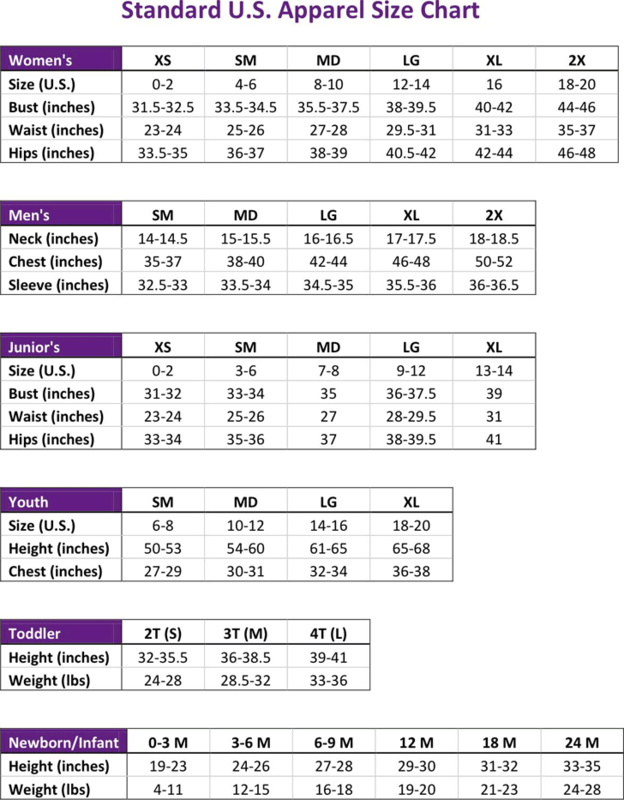 All items are Standard US sizing: Size Chart.